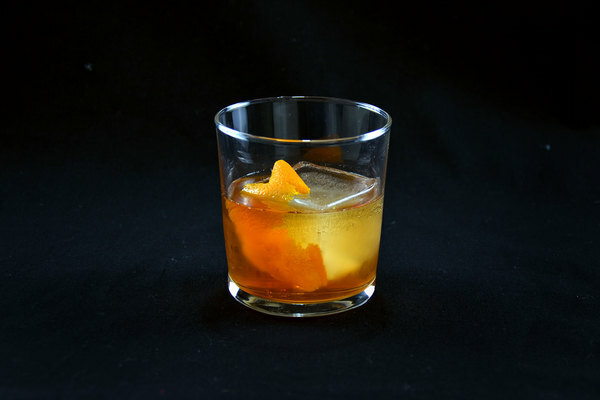 The shoulder season began as a riff on the excellent maple old fashioned, but slowly grew into its own thing. Fall flavors are rarely subtle, but this drink stands tall amongst trees, whacking its sippers over the head with a veritable lumber store of flavor. Maple, apple, and walnut are loud voices, but together their shouts balance into a harmonious anthem of hardwood excellence. 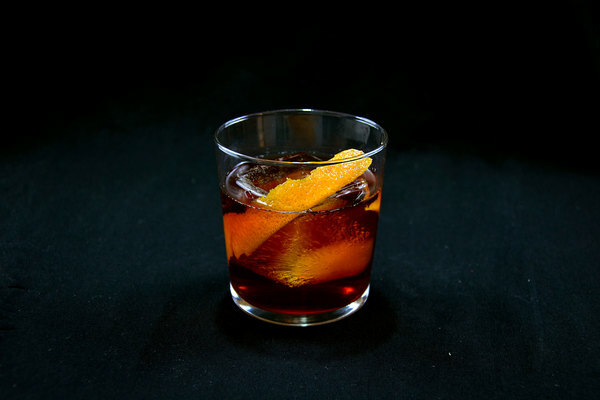 It’s a bonafide people pleaser and—like most drinks in the old fashioned template—is fabulously easy to make. Because it uses maple instead of a sugar cube, it doesn’t even require muddling. This makes it perfect for seasonal parties, fireside hangouts, or any night in need of a bit of cold-weather nostalgia. Walnut bitters and maple syrup both have heavenly scents; together they combine for a boisterous whiff of sweet and spicy flavor. The sip reveals smooth, caramelly notes before finishing off with a splash of brightness from the apple brandy and a whack of spice from the rye. The drink is surprisingly smooth given the amount of sweetener, a testament to the power of scent within flavor composition. It’s a drinkable and satisfying experience, with a beautiful hue reminiscent of maple syrup. 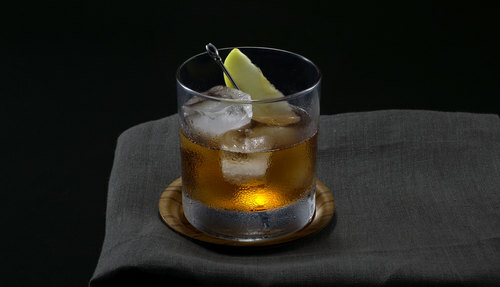 We like rye in this drink because it helps balance out the sweet profile. A high-proof rye works particularly well, something like Rittenhouse or Knob Creek. Bourbon would work well too, but the drink will have a sweeter sip. 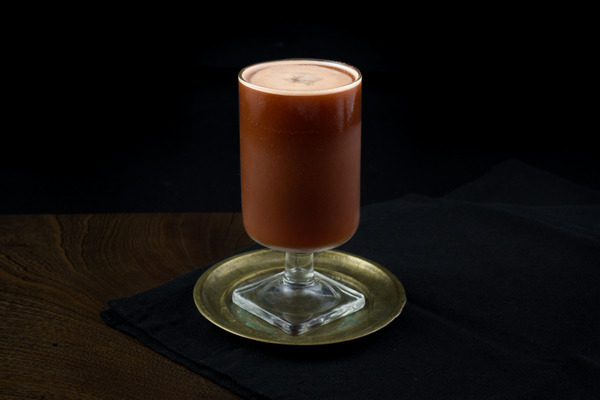 The essence of this drink comes from the combination of walnut bitters and maple. You can try swapping in a different style of bitters, but it might be very different. This drink can be made in the glass, just make sure to give it a good long whir over ice. Despite the very boozy makeup of this recipe, it’s naturally very sweet. Don’t exceed a quarter ounce of maple syrup, or it will be too saccharine. If your maple syrup is particularly thick or fresh, or you just like dry drinks, consider using a teaspoon instead.